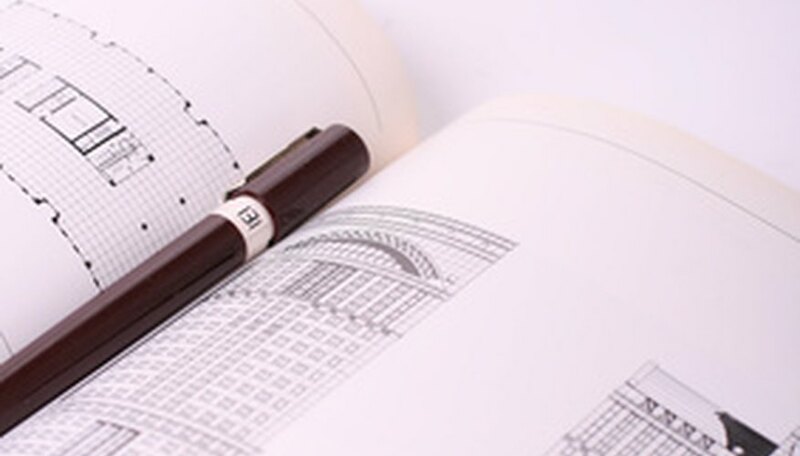 The Rotring Pen company manufactures Isograph technical pens, a well-known line of stylographic pens favored by architects, draftsmen, ink artists and connoisseurs of fine writing instruments. A Rotring Isograph's writing nib controls the flow of ink along a thin filament inside its metal housing. The size of the housing and the inner wire always determines the width of the inked line, which means that users can control line size with considerable precision. Nib measurements for Rotring pens conform to the International Organization for Standardization (ISO) standards for sizing. Remove the pen cap from the pen body, unscrew the ink reservoir and nib mechanism as a single unit from the body, and set the cap and body aside. Unscrew the reservoir housing from the nib mechanism, pull the reservoir away from the nib and set the nib aside. 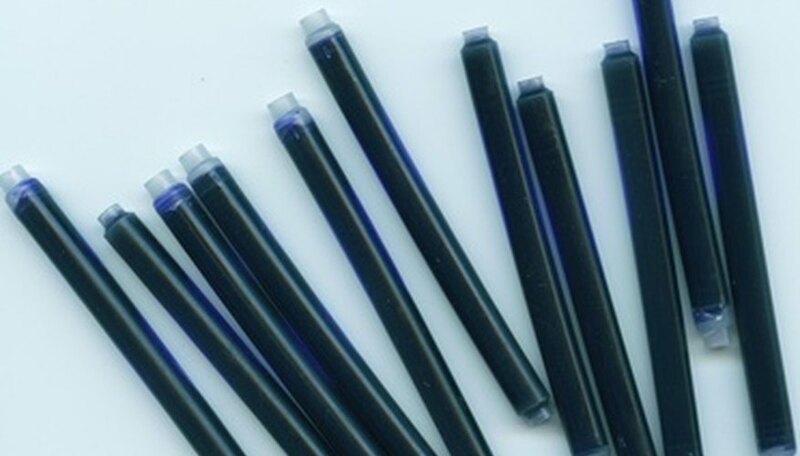 Use the eyedropper to fill the reservoir with ink. The ink should fill 2/3 of the reservoir. Reseat the nib mechanism into the reservoir, reattach the nib housing and then screw the whole unit into the pen body. Hold the pen horizontally, wrap a tissue around the nib, and gently shake the pen a few times to load the nib mechanism with ink. It is normal for the nib to make a clicking sound. Use slight pressure to touch the nib to the drawing or writing surface. The ink will flow through the housing onto the surface. Remove the pen cap, unscrew the nib housing and push the colored tab at the base of the pen body so that the cartridge is released. Dispose of the empty cartridge. Insert a Rotring replacement cartridge into the pen body, pushing it securely into place. Periodically soak the Rotring pen nib mechanism in ink cleaning solution available from art supply stores to ensure that dried bits of ink or pigment do not interfere with the free flow of ink through the nib housing. Always cap the pen tightly after use to prevent the ink from drying out. Avoid pressing down hard on the nib when using a Rotring pen. Excessive pressure can damage the nib housing or even break the nib filament, ruining the nib mechanism. M.L. Browne has been freelance writing and editing since 1998. She has created online help systems for enterprise-level applications. Browne won the international "Dream Bali Holiday" competition (2001). Her documentary series, "The Soul of Afghanistan," won the 2003 ACM Home Town Awards. Her articles appeared in Bali Echo Magazine, Expository Magazine, and the Winchester Star. She is a member of NWU, STC, and IWWG.